» Figlio! Tiranno! O Dio! With a voice described as "one of the most beautiful Britain has seen in a generation" (IRR), Elizabeth Watts has established herself among the brightest talents performing today. After training as a chorister at Norwich Cathedral, Elizabeth went on to study archaeology at Sheffield University before attending the Royal College of Music in London. Her many prizes include the 2006 Kathleen Ferrier Prize (UK), the 2007 Outstanding Young Artist Award at the Cannes MIDEM Classique Awards and the Rosenblatt Recital Song Prize at the 2007 BBC Cardiff Singer of the World Competition. A former ‘BBC New Generation Artist’, she received a Borletti-Buitoni Trust Award in 2011 and this recording is supported by the Trust. Her critically praised debut recording of Schubert Lieder was followed by an equally acclaimed disc of Bach Cantatas (harmonia mundi), a programme of Richard Strauss Lieder with Roger Vignoles, and a recording of Bach’s St Matthew Passion with the Academy of Ancient Music led by Richard Egarr. 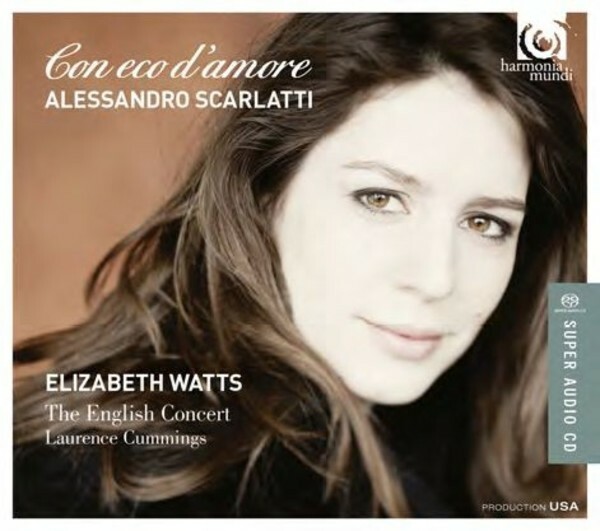 In this selection of rarely heard Alessandro [rather than Domenico] Scarlatti arias from his cantatas, oratorios and operas, she is joined by the acclaimed period instrument ensemble The English Concert led by Laurence Cummings.